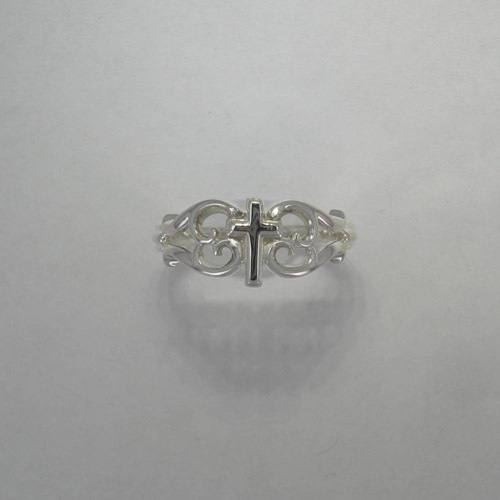 Desc: Sterling Silver filigree cross ring. 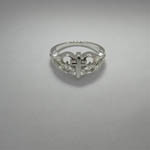 The solid cross is mounted at the apex of the ring. On each side of the cross is swirling filigree work. The ring has a bright polish finish.